Looking to venture away from Florence? Here are five day trips to treat yourself to! Tuscany’s capital, Florence, is one of Italy’s most popular destinations. Not only is it home to incredible museums, mouthwatering food, and colossal churches — it’s also a convenient starting point if you’re looking to tour several cities in Italy. Thanks to high-speed trains and buses, no corner is too far. You can be drinking wine in Chianti or taking a selfie with the Leaning Tower of Pisa in no time. Don’t know where to begin? Here are my personal picks. Whether you’re looking for medieval towns and stunning landscapes or charming villages with the best Italian food, you’ll find that day trips from the Renaissance city are completely doable. Pisa is a city in the Tuscan region best known for the iconic Leaning Tower or Torre Pendente. They say the tower was built on soft ground, which, logically would not be able to support the structure’s weight. This oversight eventually led to the tower leaning towards one side, hence its name. Over the years, the picturesque oddity has drawn tourists to the city, but there are other sights to enjoy in Pisa, too. Take all the selfies you want. Go ahead! No one will judge you. Everyone will be doing the same thing. Climb to the top of the Leaning Tower. 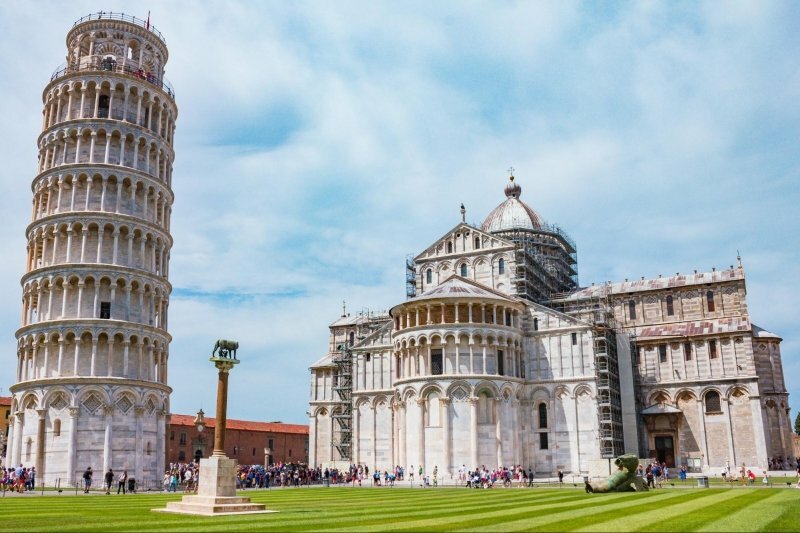 Yes, it’s safe to climb the Leaning Tower of Pisa. Fair warning, though: It takes nearly 300 steps to get to the top. But once you’re up there, you get to enjoy amazing views of the city. Visit the beautiful Piazza dei Miracoli. Check out also other monuments in the Piazza such as the Cathedral and the Baptistery. Enjoy a leisurely walk along the Arno River. Known as one of the most iconic bodies of water in Italy, the Arno River connects Florence and Pisa. Walking along its banks offers a well-deserved break from the tourist centre’s hustle and bustle. How to get to Pisa from Florence: Take the train to Pisa Centrale from Sta. Maria Novela station. Travel time is about one hour and 30 minutes. Ahhh…my favorite city in Italy! Fondly called La Grassa or the fat, Bologna is the place to be if you’re on the hunt for the best Italian food. Despite being an ultimate foodie’s paradise, it remains uncrowded, so tourists won’t be hounded by long lines and packed streets. Eat. Have your fill of local specialties. Try as much as you can! Here are a few of my favourites: tagliatelle al ragu, mortadella, tortellini, Parmigiano Reggiano, balsamic di Modena, piadina, and tigelle. 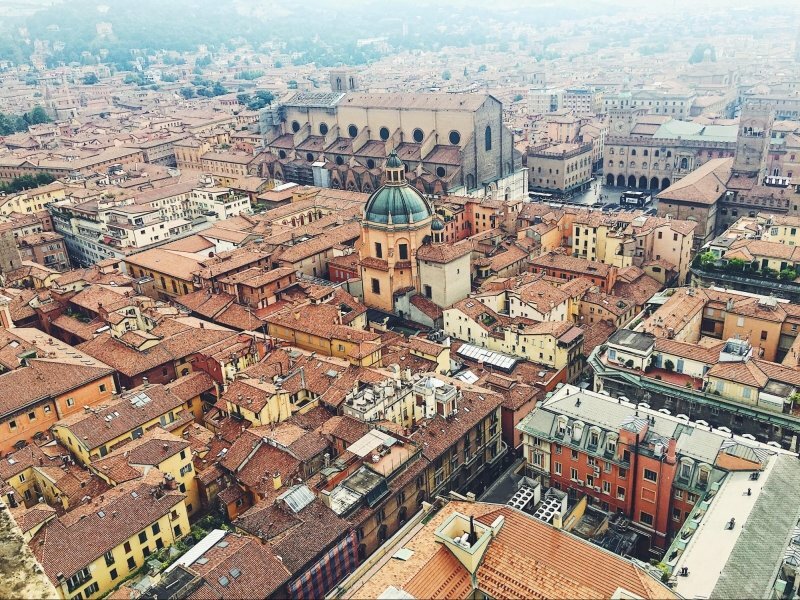 Climb the Asinelli Tower for the best views of the city. Brace yourself because it takes 498 steps to reach the top. The good news is it only costs €3. Explore the porticoes. The city has over 40 kilometres of porticoes — perfect for hot Italian days! How to get to Bologna from Florence: Take the train to Bologna Centrale from Sta. Maria Novela station. Travel time is about 35 minutes. 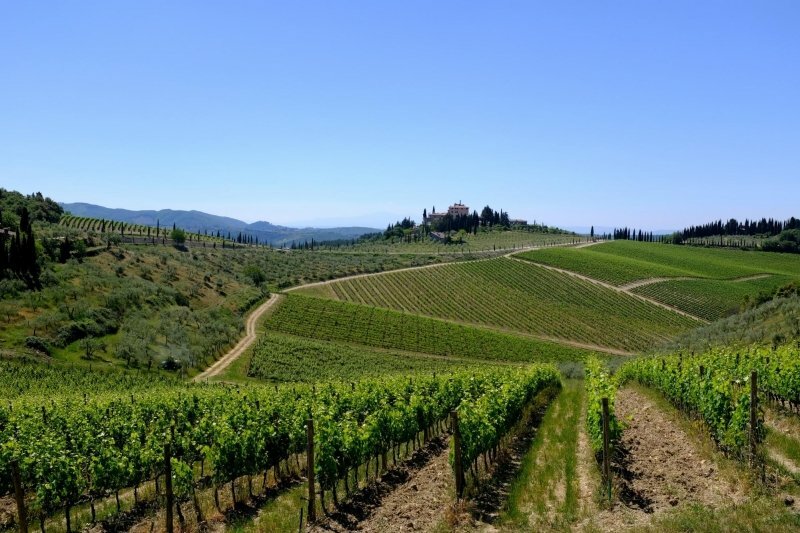 Delicious food, vast selections of wine, and gorgeous landscapes — Chianti is easily any wine lover’s dream destination. Imagine sipping on a glass of Chianti’s famous Classico wine while taking in the greenery and basking in the warm Tuscan sun. Go on a wine-tasting tour. Explore different areas of a winery of your choosing and learn how Chianti wine is made. Vineyards in this region are breathtaking so make sure to take lots of photos! Enjoy the countryside. Rent a car or motorbike, arm yourself with a map, and go on a quick road trip. Or you can sit back, relax, and share a bottle of your favourite Italian wine with friends. Eat. Some of the best restaurants in Italy are in Chianti. They serve traditional Tuscan dishes made from fresh, local ingredients. How to get to Chianti from Florence: Take the train to Castellina station from Sta. Maria Novela station, then catch a bus to reach the main villages and towns in Chianti. Siena has been deemed Florence’s longtime rival for many reasons. The city, which boasts of medieval origins, is ridiculously beautiful — from the architecture and the museums to the landscape and the food. 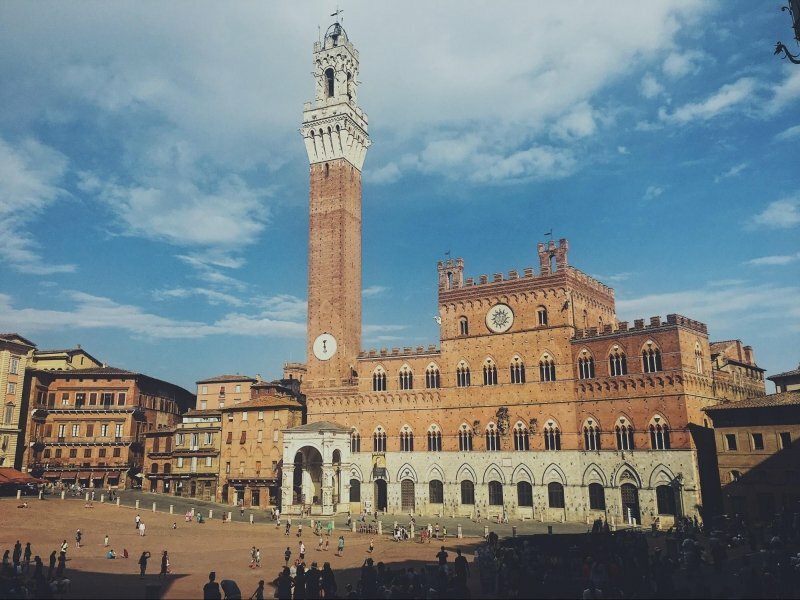 No doubt a day in Siena is a day well-spent. Admire the Duomo. The Duomo di Siena or the Siena Cathedral is known for its black and white striped exterior and dome, which was designed by no other than Italian sculptor and architect Gian Lorenzo Bernini. Experience the Palio. Siena’s most famous festival is a horse race that is held only twice a year, every 2 Jul and 16 Aug.
Do not miss Piazza del Campo. This shell-shaped square is the centre of life in Siena. This is where the Sienese gather to hold political events, parties, and celebrations. How to get to Siena from Florence: Take the bus to the Santa Maria Novela train station. It departs from the SITA station found on Via della Scala. 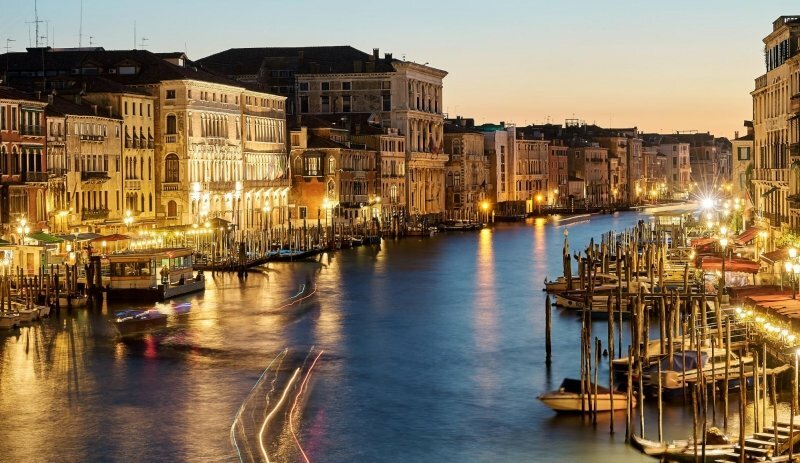 One of the most romantic cities in the world and the Jewel of the Adriatic, there is no place quite like Venice. Setting foot in the city feels unreal at first. How Venice is portrayed in the movies is exactly the way it is. Where else can you be ferried along the Venetian canals while gondoliers in striped shirts serenade passengers with Italian love songs? The experience is so unforgettable that several countries have created replicas of the famous tourist site. Nothing beats the original, of course. Ride a gondola. The quintessential Venice experience — you just have to do it! Explore Piazza San Marco. Find out why Napoleon called this area “The Finest Dining Room in Europe.” The Piazza is a good starting point in exploring the city’s splendour. Get lost. This, by far, is my favourite thing to do in Venice. Escape the hordes of tourists and admire Venice’s aged buildings. How to get to Venice from Florence: Take the train to Venezia Santa Lucia from Sta. Maria Novela station. Travel time is about two hours. With various options for transport, scheduling a day trip from Florence is no chore. The commute is convenient and is well worth the effort. The Renaissance city is the perfect home base for planning quick jaunts to neighbouring destinations, so explore as much of Italy as you can while you’re there. Patricia is not your typical 26-year old food and travel-obsessed millennial. Her passport says Filipino, but her mind thinks global and her heart feels human. 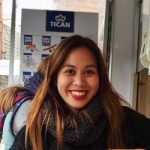 After quitting her banking job in Manila, she moved to Denmark and lived with a Danish family for 2 years. She is back in the Philippines now to fulfil one of her dreams of becoming the next Anthony Bourdain or Rolf Potts. Aside from travelling, she’s also into studying other languages, reading travel books, watching foodie shows on Netflix, and looking for cheap flights anywhere. Her (mis)adventures can be seen on her Instagram page @patriciasomera.